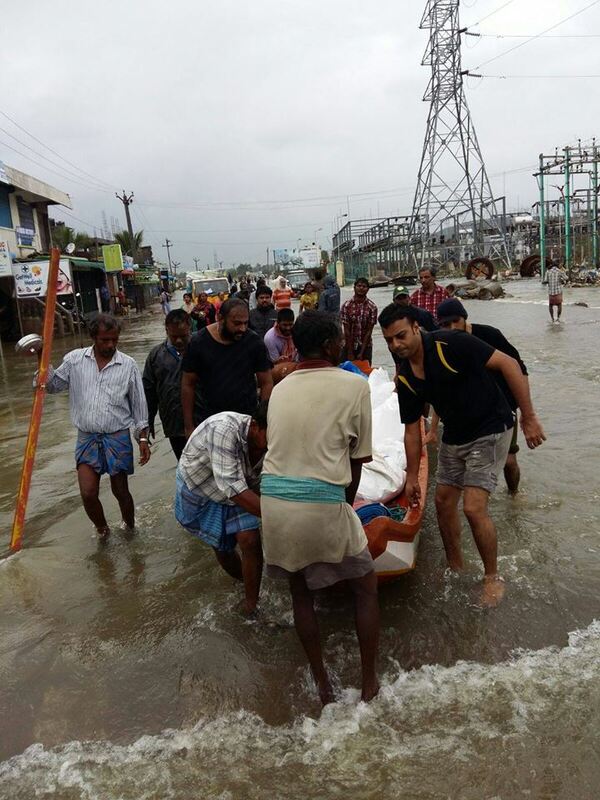 This post is to share my learnings from the battle against the Chennai floods and its victims. I think we need to urgently and immediately change our strategy based on my observations about the scenario shift over the past 5 days. It’s a bit lengthy but please read through and share if you agree with the approach going forward. 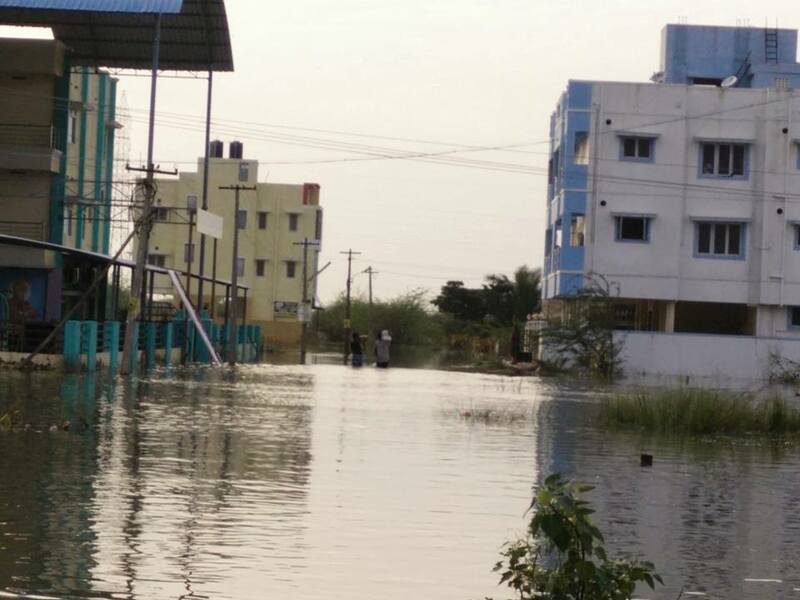 As the water in most places has receded, Chennai is getting back on its feet faster than it was put down. That momentum should be sustained. Based on my observations yesterday (Monday 7th Dec), it has reached a stage where that would happen only if the fallen (read victims) rise, put up their hands and own up to the damage, more than the warriors (read volunteers) fighting it out for them. I saw a lot of relief vehicles super-loaded with supplies like food packets, water bottles and biscuits. There are also sanitary napkins, milk, medicines, towels and bedsheets. I had volunteers coming over to me and request to move elsewhere to distribute what we had, as the area in question is adequately taken care of. Believe me, I had the same told to me everywhere I went yesterday. I did not still blindly come away, but checked the interiors. Shops are open everywhere. Essentials are back in supply. People have washed up their clothes and the Chennai sun has already dried them. Cricket is being played on streets. Anything anyone wants is a walk away, just like before. I personally think the battle has been fought and it’s time for retreat. No war has winners, so we just need to accept the loss and move on. Normalcy is the victory. As in any war, the retreat is very important. During a war, there’s a state of emergency. Things are low in supply, citizens are unreachable in a state of panic and unable to get anything done. That requires providing everything readymade, to save lives. But retreat is about sustenance and regrouping to restore normalcy. The moves should cut losses, provide help that enables people to move on with their lives. It shouldn’t be so comfortable that they want to continue to be in the state of war. The first problem I see is the problem of plenty. I think we should stop supplying food packets to any reachable spot inside the city, unless it has displaced residents who are out of their homes. Jafferkhanpet, for instance, is restored and folks are fighting over incoming supplies which are now just like government freebies. People do not need the thing, they just want it as it is there to want. They are refusing to go on with their lives as supplies keep coming. This has led to in-fighting as the mindless push to hoard the freebies has gone on to a maniacal level, so much so that I came out with a few bruises before I finished distributing some towels. This is in spite of screaming repeatedly that it is only for kids. The second problem I see is the problem of incorrect supply. Folks do not need what’s coming in. This requires someone to talk to the locals first, understand their needs and route or change the items delivered there. Take Pandian Nagar behind Toraipakkam in OMR, for example. There is a slum right next to the canal, which was washed out in the floods and people had to flee their homes. Until a couple of days back, the displaced folks had not eaten for two days. An announcement in Suriyan FM saved them. They trudged back to see empty houses. Kitchens are bare, there is no food to cook and vessels have rusted. They haven’t been to work for more than 15 days, so there’s litttle to no money on hand. A teacher in this area tearfully explained to me that they want to rebuild, but they need to cook for that. More than food packets, she explained, they need basic vessels and rice/grains/vegetables that would last for 3 or 4 days, along with drinking water and milk. She said all they needed was that initial push and they would be able to self-manage after that. The third problem I see is the problem of late resuscitation. This could be because of proximity to danger or internal limitations. There are areas where people are still evacuated and displaced out of their homes. These are sporadic and towards the outer periphery of the city. Take Mudichur, for example. People moved back but had to be evacuated again because of a breach in the nearby lake. There are also some old age homes and orphanages inside the city that are taking time to bounce back, because they depend on external support and are low on manpower. We need to sustain providing emergency supplies like food packets, blankets and medicines in these areas and make sure they are not used up in areas with problem 1 and 2 above. The battle has been fought. It is now time for the army (read volunteers) to hand over control to the Government (read organizations with bigger support systems). While the army is still actively needed in places of problem 3 above, they are needed only in a supporting nature in areas with problems 1 and 2. Shedding all my modesty, I want to say that the volunteers are also victims in one way. I am bruised all over my body, every step hurts as I walk with a limp because of a sore spot. The damage is also emotional. I sometimes have spotaneous tears in my eyes. I wonder why I cry and then I remember the face of that naked kid on the road that pleaded with me for one more biscuit packet. I see flashes of that night where we waded in chest deep water, in a zero-visibility road of the CIT colony, feeling the next step with our paws to make sure we are not spiralling down a manhole, and delivering a packet of bread to a blinking flashlight that suspended a bucket from the first floor. I knew the new friend I made, who willingly joined us to help out just 10 minutes back, will catch me if something happened. With him on my shoulders, I could scale mount everest. His religion or name is irrelevant. He came, we conquered, he left. I hope all these efforts of lakhs of common men would not be wasted, now that it has reached the level of utilizing the relief funds for post-calamity resuscitation. I keep my fingers crossed. Some of them might have already been spent for printing posters. Thanks for the field report. We always need someone to see things with an objective eye. We are easily taken by emotions.